What are the Different Options for Colored Mascara? Black and brown mascara are the most popular forms of colored mascara. Colored mascara may be used to darken the eyebrows. Navy blue mascara complements brown eyes. Colored mascara is an alternative cosmetic choice used for evening, costume, or “just for fun” makeup. Anyone with eyelashes can wear color mascara, though it’s a trendy choice among teenagers and young women. These in-vogue eyelash cosmetics come in shades such as green, purple, blue, red, and pink mascara, though the most popular daily wear choices are black and brown. Cosmetic manufacturers produce colored mascara with various ingredients, typically including oil, wax, and pigmentation. Colored mascara can be found at most drug and beauty stores. Mascara is applied to the eyelashes after eyeliner and eyeshadow have been applied. 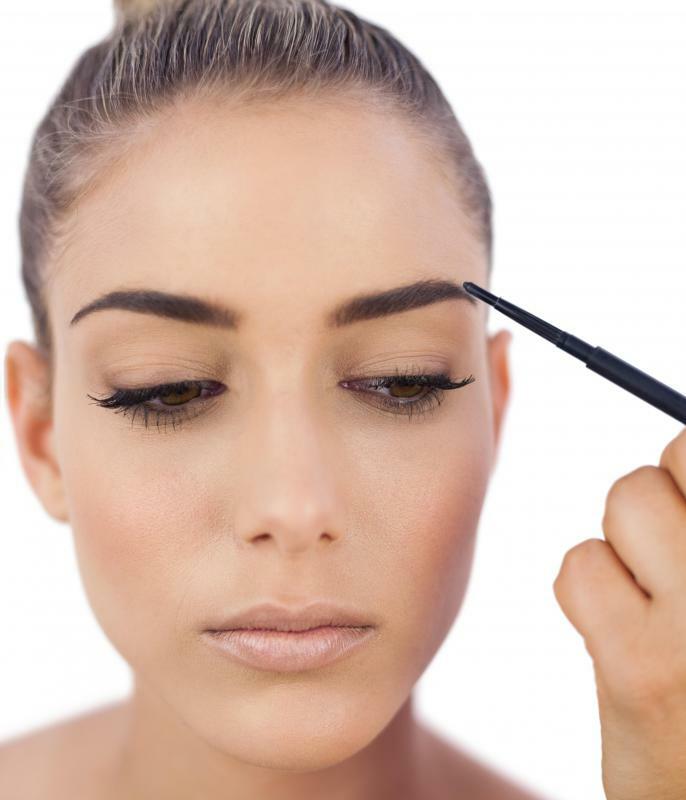 Often arched with an eyelash curler beforehand, eyelashes should be clean of debris before being painted with mascara. When using colored mascara, think of a complementary eyeshadow to pair it with. Purple mascara, for example, may offset green eyeshadow. On the other hand, matching eyeshadow and colored mascaras is a popular trend. Many teenagers wear colored mascara to school or while socializing. Women of all ages use colored mascara to accentuate or contrast their eye color. Colorful mascara is often worn to clubs, parties, and other nightlife scenes. Navy mascara is considered a bridge between plain black or brown mascara and funky neon-colored mascara. Navy accentuates both brown and blue eyes, and can be worn any time of the day. As with all color mascara, the darker one’s natural lashes are in color, the more coats of mascara it may take. Because clear mascara also exists, brown and black mascara is technically considered colored mascara. Any mascara may also be worn on the eyebrows. 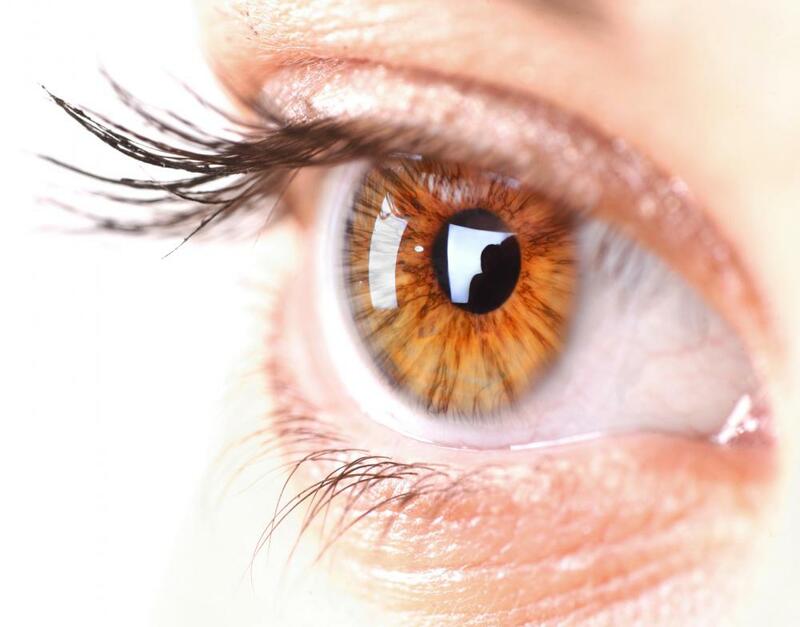 Clear mascara may be used to groom natural or pencil-colored eyebrows. For blondes, brown mascara — light or dark — may be carefully applied to the brows to create the illusion of darker brows. Black mascara may be applied on those with very dark hair, but is generally discouraged, as it looks very harsh. Mascara typically comes in a small tube that easily fits into a pocket or purse. The tube twists open, and the top generally functions as the wand applicator. 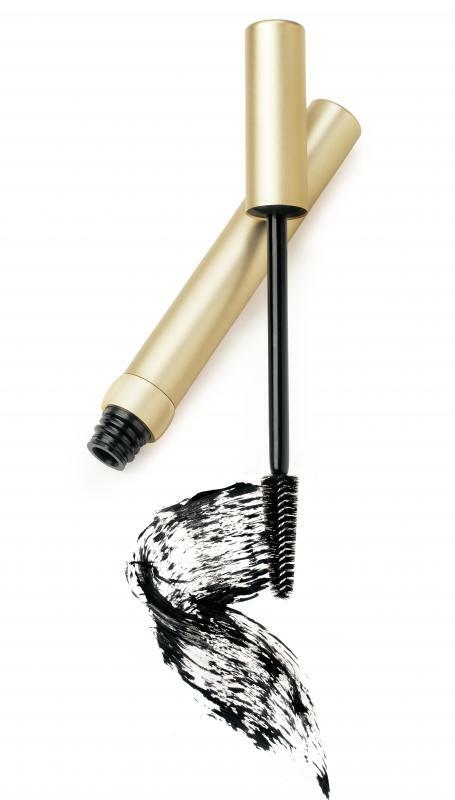 While being extracted from the tube, the mascara rod picks up the creamy product while being filtered of crust or gobs of product. It is important to note that like all beauty products that touch the eyes and lips, colored mascara should not be shared. Germs are easily transferred via body fluids and cosmetic wands. Additionally, don’t purchase used or opened makeup products from the store. What Are the Different Types of Mascara? What Is a Cosmetics Club? What Are the Most Common Eyeshadow Ingredients?